Our vision is to construct a single educational space where teachers and educators around the globe can connect with students via online media to share knowledge, disseminate skills and ignite curiosity in kids all around planet. We believe education transforms lives and rebuilds economies. In our era, everyone should have the opportunity to learn. Our mission is to provide opportunities for kids around the globe to engage in educational activities in order to build a foundation for their future life. 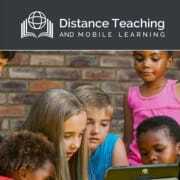 Would you recommend Distance Teaching Mobile Learning?